This is a DIY (Do It Yourself) assembly Tree Kit! 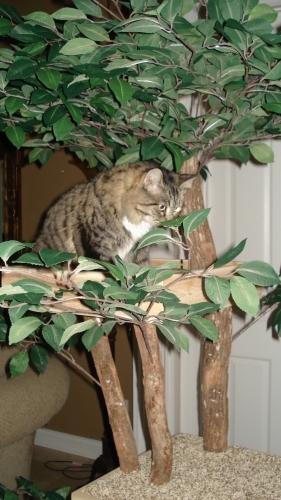 This tree is the same great quality and craftsmanship as our other trees but you put it together! THIS IS A KIT AND REQUIRES ASSEMBLY. This is a DIY (Do It Yourself) assembly Tree Kit! This tree is the same great quality and craftsmanship as our other trees but you put it together. Crafting Time is 6-7 weeks. Please remember, this is a tree kit and assembly is required. Shippings is $75.00 in the 48 contiguous United States and will ship via UPS Ground. 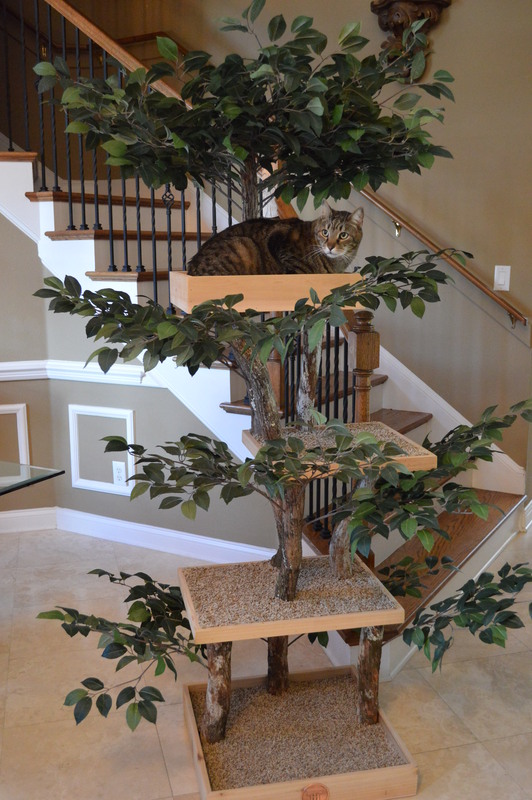 Email with complete shipping address for quote outside of the U.S.A.
"I received my KIT-TY Tree today and it went up in a snap - great directions and so easy to put up. Our cats weren't quite sure about the tree but here is a photo of the three of them checking it out! Love, love, love the tree!!" "Hello Shelley & Joe! 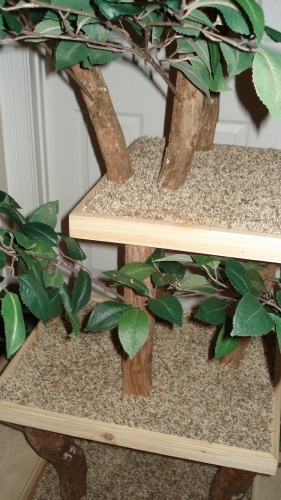 Our 3 cats LOVE the KIT-TY tree. 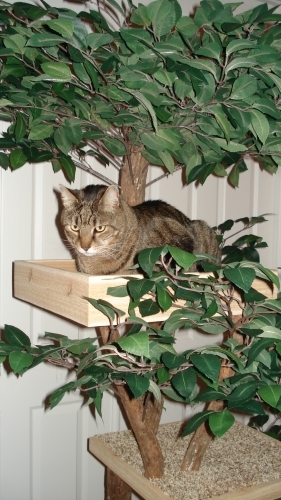 I assembled it in our basement so my husband could see it (he is disabled and can't get to the mid-level of our house) and the cats were drawn to it like a magnet. We have left it downstairs for now since it is so amusing for Paul to see them climb/play/sleep on it. That is why we decided to get a seedling so that it is more size appropriate for that room and we can move the larger one upstairs where it was originally intended for.